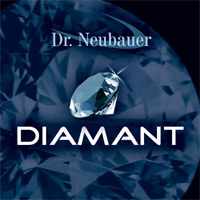 Dr Neubauer DIAMANT is a new half-long pimpled rubber. It offers very good control for service returning, blocking, attacking and defending, thanks to its very soft pimples. This rubber produces a disruptive effect in particular while blocking and straight hitting since the ball is hit very flat and tends to stay low after the bounce. With a 1.5, 1.8 and 2.1 mm sponge, DIAMANT enables you to produce a dynamic attacking game, putting pressure on your opponent with counter-attacking, lifting and smashing. DIAMANT is particularly effective for attacking against chopped balls: Any backspin can be lifted very easily and smashed violently for direct winner points. With a thin sponge (1.2 mm) the rubber offers even more disruptive effect when playing close to the table. Dr Neubauer DIAMANT: a multipurpose weapon with very good control and disruptive effect. DIAMANT is - not - affected by the ITTF ban of frictionless long pimples. This rubber will remain homologated for the period starting 01 July 2008, you may use it for any tournament or championship match.